Connector Types and Terminology – What's In A Name? Rarely do FOA instructors present a fiber optic seminar without getting some questions on what some connector terminology means or how such a term or connector name originated. Since some of us have been in the business for over 25 years ourselves, we do remember some of the origins of these terms and find it amusing to share the stories. 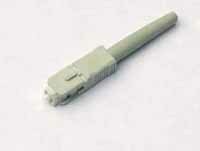 But we’ll also cover some important information about fiber optic connector design and termination along the way. Many of you probably remember the Biconic and SMA connectors which were the most popular connectors 25+ years ago. (Here is the FOA Tech Topic that identifies most popular connectors from the history of fiber optics.) 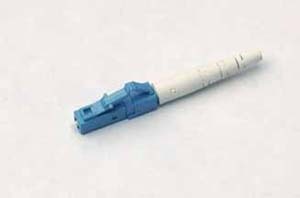 AT&T named their first commercial fiber optic connector the “Biconic” since the connector had a conical molded-plastic ferrule that fitted into a “bi-conical” mating adapter when connected to another connector. 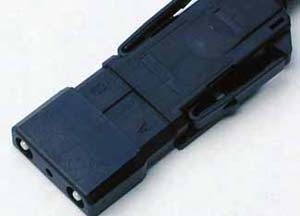 The original Biconic was actually molded around the fibers to get exact centering, a practice that stopped when they developed a way to insert a 125 micron ( 5 mil) pin in the plastic molding cavity to produce a connector ferrule with a hole into which fibers could be epoxied. 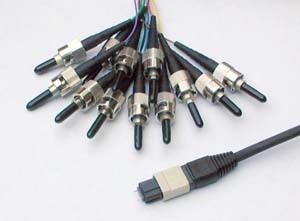 The SMA connector was the first connector widely used for data links using multimode fiber. 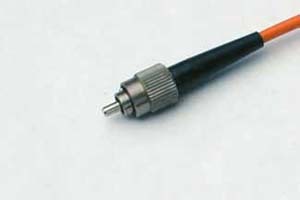 It was developed by Amphenol using the hardware from the “SubMiniature A” microwave connector, hence it’s name, with a precise 1/8 inch machined metal ferrule. The next major development in fiber optic connectors came from Japan, with the development of the ceramic ferrule. Metal ferrules had a problem with glass fiber. The uneven expansion coefficients sometimes caused the adhesive to fail, allowing the fiber to extend or retract, a process called “pistoning.” The ceramic ferrule had a very low expansion, like glass, so the adhesive held better, the connector could be polished to a finer finish and performed better over extremes in temperature. 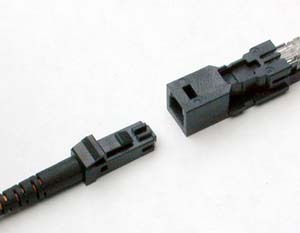 The “FC” or “fiber connector” from NTT (Nippon Telephone and Telegraph) was the first connector to use the 2.5 mm ceramic ferrule. Shortly thereafter, AT&T introduced the “ST” or “straight terminus” (contrasting to the “biconical” – get it?) that used exactly the same ceramic ferrule as the FC but replaced the screw-on nut of the FC with a bayonet lock like a BMC coax connector, simplifying and speeding up connector insertion. NTT responded a couple of years later with the “SC” or “subscriber connector” and the ST and SC dominated fiber optics for over a decade. The 2.5 mm ferrule was also used in the FDDI and ESCON connectors, both named for the systems for which they were designed. The next confusing nomenclature for fiber optic connectors came from the polishing of the end of the ferrule, giving us “PC,” “Ultra PC” or “Super PC” and “APC” connectors. As the long-haul industry moved from multimode (MM) to singlemode (SM) fiber around 20 years ago, the reflections at SM connections caused big problems with most laser sources. The reflections actually interacted with the lasers, causing instability and noise in the laser itself. 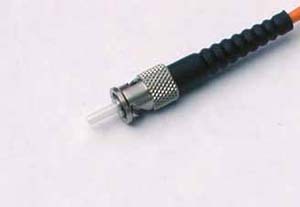 Early connectors like the biconic and SMA, which did not have keyed ferrules and could rotate in mating adapters, always had an air gap between the connectors to prevent them rotating and grinding scratches into the ends of the fibers. 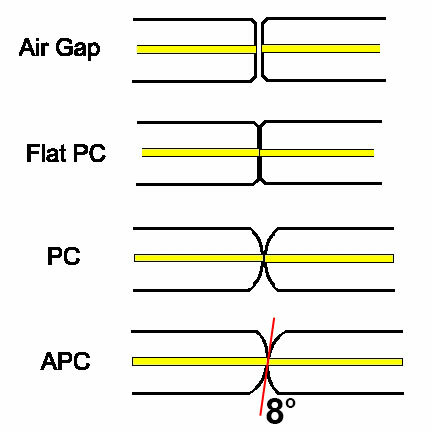 The air gap between the fibers causes a reflection when the light encounters the change in refractive index from the glass fiber to air in the gap. 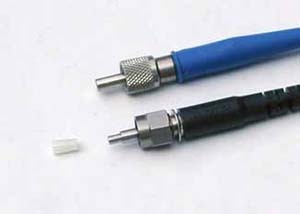 Connectors use a number of polishing techniques to create a convex end to the connector ferrule to insure physical contact of the fiber ends. Hand polishing is done on a rubber pad and machine polishing uses concave polishing fixtures. “Super PC” or “Ultra PC” are simply marketing names various manufacturers give to their polishing processes. It seems like more recent connectors, like the “SFF” or “small form factor” connectors were named by the marketing department instead of engineering, which is why we have names like “Volition” and “OptiJack.” But the exception is the "LC" or lightwave connector, “MT” (“mass termination” or "multiple termination") for 12 or 24 fibers (also called MTP "multiple termination push-on" or MPO - "multi-fiber push-on") and its duplex cousin, the “MT-RJ” where “RJ” refers to the “RJ-45” style of copper connector. 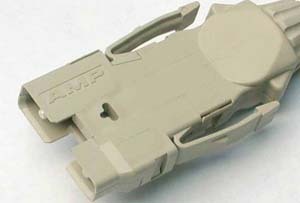 Fiber Optic Connector Identifier - What Connector is THAT? 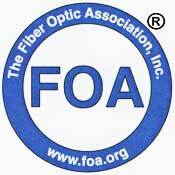 (C)1999-2010, The Fiber Optic Association, Inc.